Johns Pass Boardwalk is a collection of unique shops, great waterfront dining, and sight-seeing charters at the south end of Johns Pass Village on Madeira Beach FL. It is a major vacation attraction. 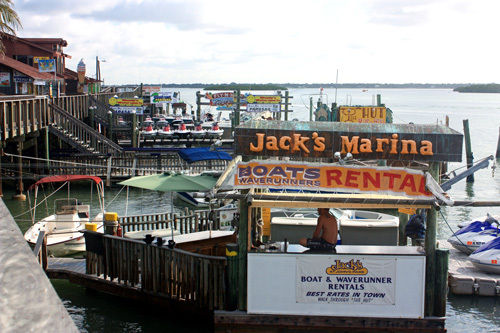 Johns Pass Village is located between 130th Avenue and 129th Avenue on the east side of Gulf Blvd. The Boardwalk is easily recognizable by the weathered wooden walkway that connects all of the merchants and restaurants, offering a nice view of Boca Ciega Bay in the back. Visitors crowd the railing to watch boats pass or to wave to friends heading out on a fishing charter. The Boardwalk has two levels. You can normally find locals up on the top deck watching the sun come up over the small bay, and relaxing in some of the comfortable chairs before the crowds appear. Locals usually are gone by 8:00am and only return during Happy Hour at one of the waterfront bars. 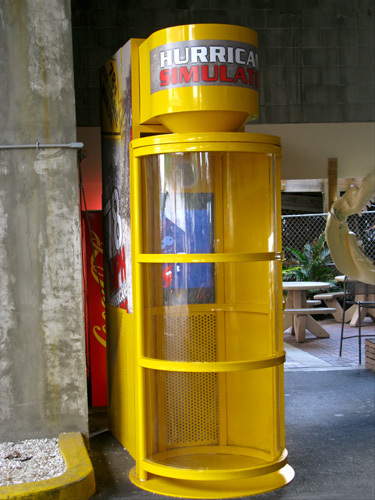 This is the newest addition to The Boardwalk. 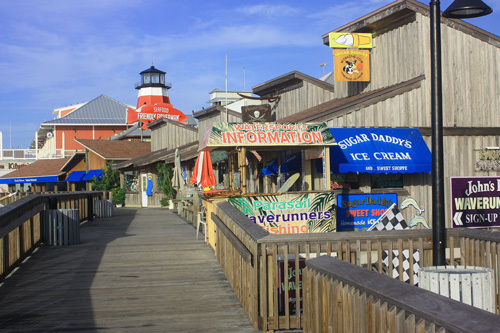 It includes a variety of specialty shops, plus Bubba Gumps Seasford Restaurant on the upper deck. 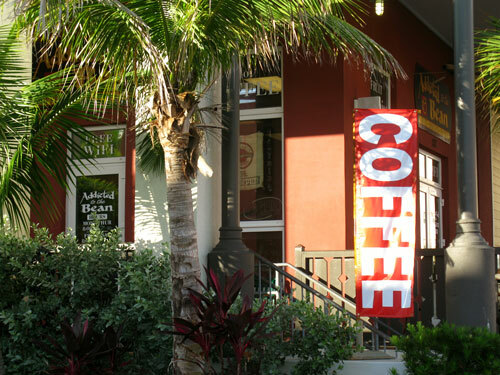 Locals and visitors alike start their day, especially in the winter and early spring, with some steaming coffee or hot chocolate from Addicted to The Bean. Underneath the main level is a small gift shop and a place to purchase tickets for some of the different cruises out into the Gulf. 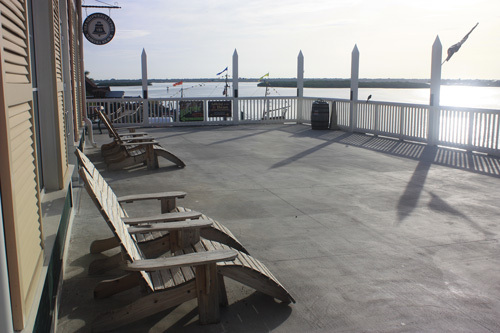 Back up on the main deck, you can see that Johns Pass Boardwalk was designed to resemble an "Old Florida" style fishing village. At the end on the side farthest east, you can rent boats, WaveRunners's or purchase tickets for parasailing. 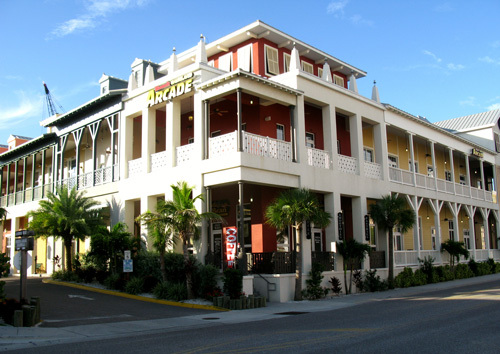 The upper deck is located at the far west end, closest to John's Pass Bridge. This where the locals come to enjoy the sunrise over Boca Ciega Bay before The Boardwalk becomes too crowded. The Bubba Gump Shrimp Co is one of the main restaurants on the upper deck. 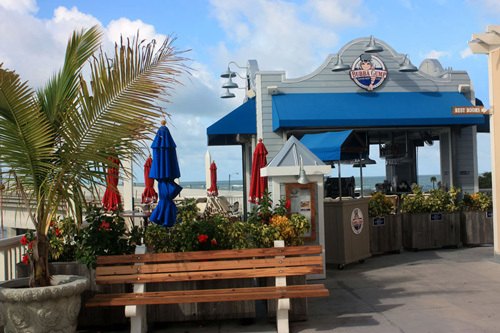 It serves great seafood and offers a spectacular view across Johns Pass Bridge into the Gulf. 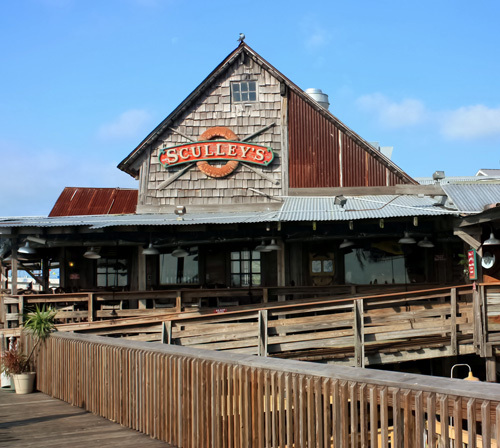 Sculley's is another favorite for waterfront dining on The Boardwalk at Johns Pass. Johns Pass Boardwalk is a nice complement to The Village . 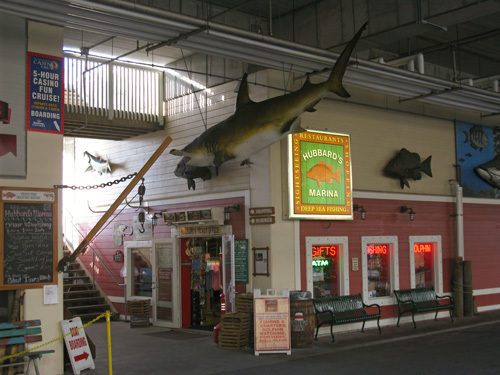 It is a fun place to shop, eat some fresh seafood, or just hangout with a cold beer. Keep in mind, it can get pretty crowded between 10:00am and 4:00pm. Make sure you bring plenty of quarters for the parking meters. What is The Miracle Mile all about on St Pete Beach?